851. bhAra-bhRt – He Who shoulders the burden. Both the parts bhAra and bhRt are derived from the same root – bhR –dhAraNa poshaNayoh – to hold, to support. bhAra refers to burden. bhArambibharti iti bhAra-bhRt – He Who shoulders the burden is bhAra- bhRt. SrI BhaTTar continues his interpretation in the context of bhagavAn'srelation to the jIva-s. In the viSishTAdvaita tradition, the jIva-s are of threetypes – the baddha-s or the bound souls, the mukta-s or the liberated souls,and the nitya-s or the eternal souls. The baddha jIva-s attain liberation andbecome mukta-s and then reside in SrI vaikunTham, performing eternal service toHim. BhagavAn bears the burden of bringing about this liberation of the baddha-sto become mukta-s through the realization of their true nature and theattainment of Himself, and so He is described as bhAra-bhRt in SrI BhaTar'sinterpretation. "There are those who, excluding all else, think of Me and worship Me,aspiring after eternal union with Me. Their prosperity and welfare (yoga and kshema) are looked after by Me". bhAram bhakta rakshAyA bibhartiiti bhAra-bhRt. "It is our duty to say `namah' to tiru vE'nnkaTattAn; the rest is Hisburden to shoulder". We are all familiar with the sense of indebtedness that Lord kRshNa carrieduntil the day He left this world, to draupadi who called out His name for helpduring the vastra apaharaNa episode. Even though His nAma itself protecteddraupadi at that time, still He continued to feel that He owed a debt to herthat He could never fulfill throughout His incarnation in this world – such isHis feeling of indebtedness to one who surrenders to Him unconditionally. SrI Sa'nkara interprets the bhAra or the `weight' that He carries as areference to His supporting the Universe on His shoulders in the form ofAdiSesha – anantAdi rUpeNa bhuvo bhAram bibharti iti bhAra- bhRt. bhAram bhAra bhUtam brahmANDam kUrma rUpeNabibharti iti bhAra-bhRt. SrI cinmayAnanda comments that the "carrying" that is referred tohere is not as a man would carry a load in the traditional sense. The sense tobe enjoyed here is that He is the cause of the Universe, and thus He is thebhAra-bhRt. – He Whose greatness is extolled by all the veda-s,purANa-setc.. The root from which the nAma is derived is kath – vAkya prabandhe – totell, to narrate. "You are the Ultimate goal of the veda-s; You are the One declared asthe Supreme Brahman by the veda-s; You are the Supreme Effulgence that cannot bedescribed through words; You created brahmA so that he can perform the functionof creation using the veda-s as his aid, but even he cannot describe You throughwords even roughly". SrI rAmAnujan also refers us to nammAzhvAr's tiruvAimozhi 3.1.10, whereAzhvAr refers to emperumAn as "maRaiyAya nAl-vedattuL ninRa malarc-cuDarE"– "You Who are the essence of all the four veda-s, that are hidden to thenAstika-s (maRai), and revealed to Your devotees (veda)". He alone is declared asSupreme by the veda-s etc., and all veda-s extol His virtue, and so He is calledkathitah. - sarve vedA yat-padam Amananti (kaTho. 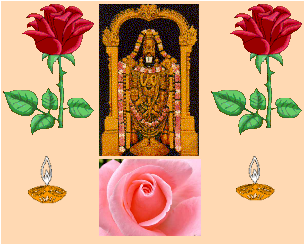 2.15) – All the veda-s describe Hisstatus (as Supreme). - VedaiSca sarvam ahameva vedyah vedAntakRt veda-videva cAham (bhagavad gItA15.15) - "Indeed I alone am to be known from all the veda-s. I bring aboutthe fruition of the rituals of veda-s; I alone am the Knower of all the veda-s". "vishNu is sung everywhere at the beginning, middle, and end of the veda-s,the holy rAmAyaNa, and bhArata, O Best of bharata race". - sodhvanah paramApnoti tad-vishNoh paramam padam (kaTho. 3.9) – "He(who has sound intellect as his charioteer and controlled mind as the bridle)reaches the end of the road, which is the highest place of vishNu". Other vyAkhyAna kartA-s give specific instances of His being a kathita, orOne Whose greatness is extolled by great sages. SrI kRshNa datta bhAradvAj givesthe example of His fame being sung by the likes of nArada, vAlmIki, etc. –nArada vAlmIki prabhRtibhih sa'kIrtita yaSo vistaratvAt kathitah. SrI satyasandha tIrtha refers to His being praised by the Agama-s – kathitah sad-AgamaihpratipAditah. He is also a darSatah (He Who sees everything, He Who is theObject we should see in everything we see, He for seeing Whom we are endowedwith the ability to see, etc.,), SravaNah, sparSanah, rUpah, ghrANah, etc. a) He Who is endowed with super-human powers. b) He Who isrealized through yogic powers. c) He Who bonds everything together. d) He Whohas total control of His Self. e) He Who unites the devotees with their wishes– i.e., He Who bestows the devotees' wishes. The root from which the nAma is derived is yuj – yoge – to unite. There is a unique greatness in Him of bringingtogether a harmonious combination of things that generally do not go together;this unique greatness is present in Him in an extreme measure, and is quitenatural to Him. So He is called yogI. The context in which this notion is to beunderstood is in terms of the asTa aiSvarya-s that we saw in the previous Sloka– the apparently conflicting characteristics of aNimA and mahimA, kRSa andsthula (laghimA and prApti), etc. It is not easy for one to have any one ofthese aiSvarya-s in full measure. It is not possible to have all the eightaiSvarya-s in full measure in the same person, except in the case of bhagavAn.Thus, He is a One who has combined in Him these apparently conflicting aiSvarya-sto co-exist in full measure simultaneously, and so He is called a yogI in SrIBhaTTar's anubhavam. He Who can be attained through j~nAna or knowledge alone.This is an interpretation that is given along the line of the advaitaphilosophy. In the viSishTAdvaita system, bhagavAn is attained only through thebhakti yoga or prapatti mArga, and j~nAna yoga is an accessory along with karmayoga in leading to the bhakti mArga. SrI rAdhAkRshNa SAstri explains the term yoga as the process by which onedraws his/her mind towards Him when it tries to wander and stray away into otherthings. BhagavAn is called yogI since He is attained by the process of yoga(namely, by control of the mind and the senses). esha ca yoga rUpo guNo bhagavato vishNureva sarvatra vyAptah. His derivation as – yujyate sambadhyate iti yogi – He Who unites orbonds everything together, is yogI. yogah samAdhih, sa hi svAtmanisarvadA samAdhatte svAtmAnam tena vA yogi. SrI cinmayAnanda takes his definition for the term yoga from the yoga SAstra-s– yogah citta vRtti nirodhah – yoga is stopping of all though flow. One whohas no thought agitations – who has totally conquered the mind, and lives inHis own Effulgent Self is the greatest yogi, and hence bhagavAn has this nAmaper cinmyAnanda. e) SrI kRshNa datta bhAradvAj gives the interpretation that the nAmasignifies that He unites the devotees with their wishes, in other words, Hebestows the desired wishes for their devotees – yojayati svajanAn tad-abhIshTenaiti yogI. We have seen the nAma yogah (nAma 18 – Slokam 3), which is related to thecurrent nAma. . The write-up for nAma 18 complements the current write-up, andthe reader is referred to the earlier write-up for additional enjoyment of thisnAma. 854. yogISah - He Who is the foremost Lord of all yogins. "He conferred the highly pure goal, namely SrI vaikunTham, upon sanakaand other sages who were flawless". "The Seers such as janaka, sanaka, etc., who have clear perception as aresult of their true penance and devotion, the mukta-s who have crossed theocean of the enjoyment of His unlimited auspicious qualities through enjoymentand experience, and the nitya-s who have not had the slightest trace of the fearof this samsAra - all serve Him with pure delight". The mumukshu-s, themukta-s and the nitya-s are all referred to here. SrI Sa'nkara gives the meaning "The Supreme amongst yogin-s" to thenAma, and explains that unlike other yogins who are subject to being obstructedby impediments to yoga and falling off from their progress, bhagavAn isunobstructed and free from any impediments, and so He is called the "Lordof the yogin-s", or Supreme among yogins. "He who worships Me with faith, whose innermost self is fixed in Me, Iconsider him as the greatest of the yogin-s". The idea conveyed is that Heis the object of worship - the Lord, of the best among yogin- s.
SrI cinmyAnanda describes a yogin as one who is free - completely and fully -from any involvement while being in the midst of samsAra and its seethingactivities. BhagavAn alone qualifies as the King of yogi-s by this description. SrI satya sandha tIrtha gives an alternate anubhavam that is different fromthe others - yoginAm Sam (=sukham) yasmAt iti yogISah - He through Whom (bymeditating on Whom) the yogi-s attain great delight is yogI-Sah. SrI vAsishTha uses the meaning "union" for the word yoga, and givesthe interpretation that bhagavAn has this nAma signifying that He keepseverything bound together - for instance, all the bones in the body are keptunited together so that the body is in one functional piece. While this examplemay sound trivial, the whole universe is held together only because of His powerof yoga or union. 855. sarva-kAma-dah - He Who bestows all desires. sarvAn kAmAn dadAti iti sarva-kAma-dah - He Who bestows all desires issarva-kAma-dah. SrI BhaTTar points out that bhagavAn grants all desires sought by the devotedyogin, including the powers such as aNimA (one of the previously discussed ashTasiddhi-s), even though these are impediments to the path for Salvation. In otherwords, even if the yogin falls from his ultimate path of seeking Salvation, andinstead seeks lesser benefits, bhagavAn is still the bestower of whateverbenefits the devotee seeks. after having attained to the worlds of doers of good deeds and living there formany long years". which declares that the Lord alone is capable of bestowing any benefits for yogaor effort of any kind. So He alone is sarva- kAma-dah. "He who has no desire in anything, or one who is desirous of allbenefits, or one who is realized enough to be interested in moksha, shouldworship the parama purusha with intense devotion". In other words, He isthe Only One whom we should worship, no matter what our desires are - dharma,artha, kAma or moksha, because He alone is the Ultimate Bestower of all benefits- sarva-kAma-dah. This concluding message is given by SrI Suka muni to parIkshitafter discussing several alternate routes such as worshiping the lesser devatA-sfor attaining the lesser benefits. "And He alone is vAmani, since He grants all good things to those whotake refuge in Him". He Who bestows all auspiciousness on those Who have taken refuge in Him). Note the double emphasis on `sarvAni vAmAni nayati". In vedic parlance,double emphasis is used to reinforce the strength of the declaration. SrI SAstri also refers us to the nAma kAma-pra-dah in Slokam 32 (nAma 299),which has a similar meaning. 856. ASramah - He Who provides an abode of rest for the seekers. The root from which the nAma is derived is Sramu - tapasi khede ca - to takepains, to be fatigued. The prefix A sometimes gives the meaning opposite to thatof the verb it follows (e.g., gam - to go, A- gam - to come; dA - to give, A-dA- to take). Similarly, the word A- Srama gives the meaning - to rest, oppositeof Srama. ASrama refers to a place of rest, a hermitage. SrI BhaTTar continues the thread from his interpretation for the previousnAma, where he pointed out that bhagavAn bestows the lesser benefits for thosewho have swerved from the path of yoga after starting on that path. When theyhave completed the enjoyment of the meritorious benefits for their lessereffort, then He gives them `a place of rest' - birth in the houses of SrIvaishNava-s where true knowledge of the Lord can be had in profusion and theycan become refreshed: tato vivRtya subhiksha para vidyeshu vaishNava gRheshuteshAm viSrAnti-hetuh ASramah. In other words, this birth in a good family is toenable those who have been interrupted in their yoga in their previous birth, torest and then continue and succeed in the current birth by being provided theright conditions and environment for the successful completion of theinterrupted yoga. Note the second line of the gItA Slokam 6.41 that was given asa reference for the previous nAma - SucInAm SrImatAm gehe yoga-bhrashTahabhijAyate - they are born in the house of the pure and prosperous (prosperousmeaning they are delighting themselves in pure and exclusive devotion to theLord). Note the reference to the "nAn maRai vEdiyargaL", and to His `aDinizhal". These are the two things that really give the rest, not only inthis birth, but for all birth to come according to nammAzhvAr. In the vyAkhyAnam,it is pointed out that the association with the bhAgavata-s is extremelybeneficial because they are "nalam koL vANargaL" - those who areinterested in lifting us up to their levels, and those who are interested in ourwelfare without any benefit for them. It is a delight to dwell deep intonammAzhvAr's pASuram-s. He is called ASramah (The Hermitage of peace) since He is like an ASramam forthose who wander in the forest of samsAra. bhavATavyAm bhramatAm sarveshAm bhaktAnAm viSrama dAyitvAt ASramah. SrI rAdhAkRshNa SAstri generalizes the concept of ASramah as all thedifferent means by which bhagavAn gives rest to those who have been stressedthrough the forest of samsAra - including the ASrama-s of vAna prasthA, sanyAsa,sleep, samAdhi, and finally moksha. na vidyate Sramo yeshAm te a- SramA muktAh, teshAm ayam svAmi iti ASramah. He Who completely conceals Himself. or, He through meditation on whom the tapasvin-s undergo the rigors ofmeditation and penance - is called A-Sramah. Note that SrI vAsishTha is not using the prefix A to derive the meaning asopposite of Srama as Sri BhaTTar and Sri Sa'nkara did, but has instead used theprefix A as a reinforcement of the meaning of the word Srama - One Who ensuresthat the jIva-s go through the toils according to their karma-s.
a) He Who makes it possible to continue the effort of uncompleted yoga in thenext birth. b) He Who torments those who have not exercised their discriminatingability. c) He Who undertook tapas in the form of nara nArAyaNa for the welfare of theworld. d) He Who is the source of subsistence for sanyAsin-s. e) Subject matter of, andknown by, hymns of praise. The root from which this nAma is derived is the same as that for the previousnAma - Sramu - tapasi khede ca - to take pains, to be fatigued. Sramyate itiSramaNah - He Who strains or makes one put in the effort is SramaNah. "There he regains the disposition of mind which he had in his formerbody, O arjuna, and from there he strives much more for success in yoga". b) SrI Sa'nkara explains the nAma as "One Who torments those who are notcapable of discrimination" - avivekinah sarvAn santApayati iti SramaNah.SrI rAdhAkRshNa SAstri explains this as the situation where, even thoughbhagavAn is indicating the right path for attaining Him, there are many among uswho do not want to follow that path, and then He is left with no choice exceptto make us undergo the effects of our karma, and as most of us know, it is atormenting experience to be born and living in samsAra. SrI cinamyAnanda puts the idea more graphically: "One Who prosecutes theworldly people - who, driven by their hungers and passions, seeksense-gratifications. By the very nature of the ephemeral sense- objects and theever-changing instruments of experience in us, the life of gratifications canonly yield exhausting fatigue and weary disappointments. This is the `Law' andSrI nArAyaNa is the `Law- Giver'". c) SrI kRshNa datta bhAradvAj attributes the Sramam to bhagavAn Himself, inHis incarnation as nara nArAyaNa, for the protection of the world - SrAmayatitapas carati nara nArAyaNa rUpeNa loka sa'ngrahAya iti SramaNah. d) SrI santya sandha tirtha interprets the nAma as: SramaNAh sannyAsinah asyadAsattvena santi iti SramaNah - SramaNa refers to sanyAsins, and since sanyAsin-sexist through dAsatvam to Him, He is called SramaNah. e) SrI raghunAtha tIrtha in his tattva sAra, gives the interpretation -Sramanti jAnanti anena iti SramaNam stutih | stutimAn stuti vishayah SramNah ||- "Subject matter of, and known by, hymns of praise ( translation by SrI K.SrIpAdha rAo). a) One Who is in a diminished form (in the form of dhruva, the PoleStar). b) He Who helps the yogi to become well-equipped. c) He Who alone is left behind at the time of pralaya. d) He Who reduces everything to its un-evolved state at the time of pralaya. e) He Who remains hidden amongst us, and he in Whom everything is hidden. f) He Who is the final abode for all (kshAyati). j) Remover of obstructions in the path of cows (ksham + Ama). k) He Who endures patiently. This nAma was dealt with earlier in Slokam 47 - nAma 444.
ksham - sahane - to allow, to be capable of. In addition, interpretations have been given by looking at the word as ksham +Ama, kshA + mA, etc., for which details are given below. a) SrI BhaTTar uses the root kshi - kshaye - to decay, in his interpretationof nAma 444, and ksham - sahane, for his interpretation of the current instanceof the nAma. Incidentally, this resolves the avoidance of redundancy ininterpretation in SrI BhaTTar's vyAkhyAnam. nAma 444 was interpreted by SrI BhaTTar as a reference to bhagavAn's form asthe Pole Star. "yAvan-mAtre pradeSe tu maitreyAvasthito dhruvah | kshayamAyAti tAvat-tubhumerAbhUtasamplave || 2.8.92". "Neither here (in this world), nor there (in the next), arjuna, is theredestruction for him. For, no on one who does good ever comes to an evilend". SrI v.v. rAmAnujan gives the meaning "One Who makes the yogin skilled incontinuing and fulfilling the yoga" - "tiRamai uDaiyavanAgac ceybavan". c) Sri Sa'nkara bases his interpretation for the instance of the nAma inSlokam 47 on kshi - kshye - to decay, and explains that bhagavAn has this nAmasignifying that He alone is left behind after everything disappears duringpralaya - sarva-vikAreshu kshapiteshu svAtmanA avasthita iti kshAmah. d) For the current instance of the nAma, he gives another variant of the actof bhagavAn during pralaya - that He reduces all beings to the state in whichthey were prior to the current created form - kshAmAh kshINAh sarvAh prajAhkaroti iti kshAmah. SrI rAdhAkRshNa SAstri gives the example of how bhagavAngradually removes the functions of the indirya-s, mind etc., gradually beforethe final moment in our own life - the function of kshAma or decay. SrI kRshNadatta bhAradvAj give another anubhavam of His function of kshAma or destruction- He eliminates the wicked - kshAmAn = kshInAn karoti dur- janAn iti kshAmah. e) SrI satya devo vAsishTha gives an interpretation using the meaning"hidden" for "kshaya", and explains the nAma as referring tobhagavAn who remains hidden amongst us while being present in all of us, or inwhom we are all hidden - ya etasmin viSve antarleenah tishThati sarvam vyApya,yasmin vA idam viSvam praleeyate. f) Alternatively, using the root kshi - nivAsagatyoh - to dwell, SrIvAsishTha gives the alternate interpretation that this nAma of bhagavAnsignifies that He is the ultimate abode for all at the time of pralaya -kshAyati = nivAsayati, gamayati iti kshAmah. g) Among the other anubhava-s of SrI vAsishTha are: kshA refers to theUniverse (kshA = pRthivee), and the root mA'ng - mAne Sabde ca means "tomeasure, to sound". Using these, his interpretation is that the nAma canrefer to bhagavAn being the One Who has established this Universe as such andsuch., has given it the ability to function, and has equipped it with sound etc.- kshA iti viSva upalakshaNam; evam ca viSvam idam ya iyattayA nibadhnAti,gatidAnena Sabdavacca karoti it kshAmah. h) SrI satya sandha tIrtha interprets the nAma as kshA + mA - kshA - narakaAh,tAn mavate - badhnAti iti kshA-mah - He Who binds (restrains, controls) thedemons is kshA-mah. (The root is mav - bandhane himsAyAm ca - to fasten, tobind, to kill). i) An alternate interpretation by SrI satya sandha tIrtha is: kshamAyA ayamdhArako varAhAdi rUpeNa iti kshAmah - He Who bore the Earth (bhU devi) in HisvarAha incarnation, is kshAmah. j) For the instance in Sloka 47, SrI raghunAtha tIrtha gives theinterpretation - ksham gavAm samrodha viSesham Aminoti kRntati iti kshAmah -Remover of obstructions in the path of the cows (ksham + Ama). k) For the current instance of the nAma, SrI raghunatha tIrtha'sinterpretation is: kshamate sahate iti kshAmah - He Who endures patiently. a) One Who has beautiful wings – in the form of hamsa, garuDa, etc. b) He Who helps the yogi-s cross the ocean of samsAra. c) He Who enables everything to move around. d) He Who is in the form of the veda-s (as the “leaves” of the tree of samsAra). e) One Who is decorated with the beautiful green tulasi leaves. f) One Who has the green color of emerald because of His association with Lakshmi. g) One Who is easily pleased by pure devotion. h) He Who is the Abode of Supreme Happiness (su-par-Nah). i) He Who rests on the beautiful tender green fig-tree leaf (at the time of prlaya). j) He Who pervades the entire Universe completely. k) He Who has suparNa – garuDa as His vAhana. We enjoyed this nAma earlier as part of Slokam 21 (nAma 194). SrI satyadevo vAsishTha gives two roots from which the different interpretations can be explained: pAr – tIr – karma samAptau – to finish, to get through or over; and parN – harita bhAve – to make green. Based on these, the word parNa means “wing” as well as “leaf”. The different interpretations for the nAma include: One who has beautiful wings, One Who enables the jIva-s cross the ocean of samsAra, One who gives everything the ability to move around, One who makes everything live and thrive (“green”), One who is decorated with the green tulasi leaves, etc. Sobhana parNatvAt, samsAra-pAra-nayanAt vA suparNah . a) While SrI BhaTTar himself has not made a direct reference to the hamsa incarnation in his interpretation, other interpreters have elaborated on SrI BhaTTar’s interpretation as a reference to bhagavAn’s hamsa incarnation, or alternatively as a reference to His being the antaryAmi of garuDa. SrI M. V. rAmAnujAcArya and SrI P. B. aNNa’ngarAcArya explain the nAma as a reference to His hamsa incarnation. SrI v.v. rAmAnujan explains the nAma as referring to garuDa, who has bhagavAn as his antaryAmi. Alternatively, suparNa refers to garuDa, and bhagavAn is suparNah since He has garuDa as His vAhana. In SrImad-bhAgavatam we have - siddheSvarANAm kapilah suparNo'ham patatriNAm - Among the siddha-s, I am Kapila, and among birds I am GaruDa (11.16.15). Among beasts, I am the lion, their king, and among birds, I am GaruDa, the son of VinatA (10.29). SrI rAdhAkRshNa SAstri explains that the two wings of this form of bhagavAn – suparNah – can be enjoyed as: a) one wing representing the veda-s that show the path for our conduct; and b) the other wing representing the sadAcAram practised by our AcArya-s and elders through their conduct of life following the teachings of the veda-s. In the upanishad-s, we have reference to two beautiful birds sitting on the same tree - signifying the jIvAtmA and the paramAtmA dwelling in the same body. One (jIvAtmA) eats the fruits of actions, and the other (paramAtmA) just gazes on (sAkshI). VishNu is this all-experiencing Principle of Consciousness. tayoranyah pippalam svAdvanti, anaSnan anyo abhicAkaSIti || (muNDakopanishad - 3.1). “A pair of white-winged birds extremely friendly to each other sit on one and the same tree; one eats the fruits, the other eats not and gazes on". SrI rAdhAkRshNa SAstri refers to one as the great enjoyer (pErinbam), and the other as the Great Knower (pEraRivu). “The yogin, striving earnestly, cleansed of all his stains, and perfected through many births, reaches Me”. c) SrI vAsishTha also gives another dimension to the anubhavam in terms of His being “One with the best and beautiful wings” – He is the One Who enables everything in the Universe – including the Sun, the Moon etc., to move around because of His “beautiful wings”, in other words, by His Power. “They speak of an immutable aSvattha tree with its roots above and branches below. Its leaves are the veda-s. He who knows it knows the veda-s”. SrI SAstri continues on the above, and explains that He is also suparNah because He gives protection to the jIva-s in their sojurn in this samsAra by giving them the shade in the form of the beautiful leaves of this immutable aSvattha tree while they go through the samsAra to expend their karma-s.
e) SrI kRshNa datta bhAradvAj explains the nAma as “One Whose form is decorated with the green tulasi leaves” – SobhanAni parNAni tulasI dalAni yan-mUrtau sa su-parNah. For one of the instances of the nAma, SrI vidyA bhUshaN’s anubhavam is along the same lines: bhagavAn is more pleased wearing the beautiful green tulasi leaves than when wearing the precious jewels, and so He is su-parNah – SobhanAni parNAni tulasI patrANyeva na tu kanaka ratnAni yasmin sa su-parNah..
f) SrI bhAradvAj gives an alternate interpretation as well: He is su-parNah since He has the green emerald color because of His association with SrI lakshmi Who resides in His vaksha-sthalam - Sobhanah parNo harita bhAvo yasya SrI lakshmI devI sAnnidhyAt iti su-parNah. “Whoever offers Me with true devotion a leaf, a flower, a fruit or some water, I accept this offering made with devotion by him who is pure of heart”. h) SrI T. S. Raghavendran has given the following in his “SrI vishNu sahasra nAma sa’ngrahArtha” (this also corresponds closely to the interpretation given by SrI raghunAtha tIrtha in his tattva sAra for this nAma in Slokam 21): su = sobhana, para = uttama, Nah = Anandah, tAn santi iti su-par-Nah – He is called su-par-Nah because He is the Abode of Supreme happiness. i) SrI satya sandha tIrtha enjoys the nAma as referring to One Who is resting on the beautiful green tender leaf of a fig-tree at the time of pralaya – Sobhanam parNam vaTa-patram SayyAtvena yasya sa su-parNah. j) For the current instance of the nAma, SrI raghnAtha tIrtha gives the interpretation: “su – samyak bhUmin pUrayati – vyApnoti iti su-parNah – He Who pervades the earth completely. a) He Who makes the wind flow for the benefit of sustaining life. c) He Who had "The vAyu - hanumAn" as His vehicle during His rAma incarnation. We enjoyed this nAma in Slokam 36 - nAma 333 earlier. SrI satyadevo vAsishTha gives the roots involved in the nAma: vA - gati gandhanayoh - to go, to blow, etc., and vah - prApaNe - to carry, to flow. He gives the derivation as: vAyuh vAhyate - pravartyate anena iti vAyu-vAhanah - He because of Whom the air flows;. a) SrI BhaTTar interprets the nAma in Slokam 36 as a reference to bhagavAn's act of driving the air (making it move and flow) that is vital for the survival of all beings. SrI v.v. rAmAnujan gives refers us to tiruma'ngai AzhvAr's tiru ehu kURRirukkai - mEdamum aim- perum bhUtamum neeyE - "You are the Force behind the five great elements that are constituents of the body that houses the jIva-s". "He who dwells in vAyu, who is within the vAyu (Air), whom Air does not know, whose body is Air, and who controls Air from within, is the Inner Ruler (antaryAmi), the Immortal". SrI Sa'nkara explains the first instance of the nAma in Slokam 36 as "He Who is the Director of the seven vital airs - vahatah sapta AvahAdIn vAhayati it vAyuvAhanah" - bhagavAn has this nAma signifying that He is the Controller of the atmosphere in the seven regions of space. SrI rAdhAkRshNa SAstri describes in detail about these seven regions that are controlled by seven different sons of kaSyapa and diti, because of the powers given to them by bhagavAn. They are called the sapta-maruta-s - A-vaha, pra-vaha, sam-vaha, ud-vaha, vi- vaha, pari-vaha, and parA-vaha. The upasarga prior to the term vaha in each case signifies the kind of force that is exerted by this type of flow, for instance ud-vaha is the force that lifts up, etc. The seven maruts control seven regions of the Universe. Six of these regions are listed by many of the authors. These regions are: the space between earth and the clouds, that between the clouds and the sun, that between the sun and the moon, the moon and the stars, the stars and the planets, and the planets and the sapta-Rshi manDala. It is said that it is because of the pressure exerted by these regions of air that the various stellar objects do not collide with each other. In short, SrI cinmayAnanda summarizes the above in the following words: "The inconceivable might and power of the winds and their life-sustaining abilities are all lent to the air by bhagavAn's own munificence and, therefore, He is called vAyu-vAhanah". For the current instance of the nAma, SrI Sa'nkara explains that bhagavAn is vAyu-vAhanah or "One Who makes the air flow and sustain all beings". In this instance his anubhavam is that the Air flows because of the fear of bhagavAn if the air does not comply as directed. As mentioned in the taittirIya Upanishad: - "bhIshAsmAd- vAtah pavate" (taitt. 2.8) - "The wind blows through fear of Him". Another anubhavam given by SrI rAdhAkRshNa SAstri is that bhagavAn redeems His devotees swiftly like air, and so He is vAyu-vAhanah. - tad-dhAvato'nyAn-atyeti tishThat-tasmin-apo mAtariSvA dadhAti (ISAvAsya. 4) - While not moving, It goes faster than those who run after It. By Its Power, the Air supports all the living beings". - kasmAd-a'ngAt dIpyate agnir-asya kasmAd-a'ngAt pavate mAtariSvA (atharva. 10.7.2) - By Whose movement or force the agni glows, and by whose movement the air flows". - kva prepsan dIpyata Urdhvo agnih, kva prepsan pavate mAtariSvA (atharva. 10.7.4) - How (by Whose Power) the agni always blazes upward, and by Whose Power the wind flows". "That Support on which the earth, firmament and sky are set as their foundation, in Whom the Fire, Moon, Sun, and Wind have their foundation". - yasmAd vAtA RtudhA pavante yasmAd samudrA adhi viksharanti (atharva. 13.3.2) - He from Whom winds blow pure in ordered seasons, and from Whom the seas flow forth in ordered directions. b) For the current instance of the nAma vAyu-vAhanah, SrI BhaTTar gives the interpretation that bhagavAn lifts up those that have fallen into the ocean of samsAra, using garuDa, who is noted for his swiftness. vAyu here signifies garuDa, the king of birds, who is known for his swift movement. SrI BhaTTar's words are - tAnSca prabala hetubhih patitAnapi, vAyunA - anupamagatvareNa patagapatinA, vAhayati uttArayati iti vAyu-vAhanah. He quotes an example from vishNu tattva - the story of King uparicara vasu. This king was cursed by a great sage to wander in the nether worlds. He was a great devotee of bhagavAn, and so bhagavAn sent garuDa who lifted him up from the nether worlds and brought him back to the upper worlds. SrI rAdhAkRshNa SAstri comments that bhagavAn is vAyu-vAhanah or "One Who has Air as His vehicle" on account of another incident as well - It is said that when bhagavAn had to rush to save gajendra, finding that the speed of garuDa was not fast enough, bhagavAn just used the Air as His vehicle, and reached gajendra and saved him. c) Sri ananta kRshNa SAstri takes "vAyu" to refer to "The vAyu" - the son of vAyu, namely hanumAn, and notes that bhagavAn is vAyu-vAhanah since He had hanumAn as the "vehicle" in His rAma incarnation during the battle with rAvaNa. That which, or one who announces the arrival of bhagavAn is vAyu, based on "vAti - gandhayate - sUcayati". BhagavAn has garutmAn as His vAhana, who announces His arrival, and so He is vAyu-vAhana. The movement of garuDa produces sAma gAnam, which again announces the arrival of bhagavAn ahead of His arrival. e) SrI satya sandha tIrtha looks at the nAma as vAyuvAh + nah: vAyum - svAsa vAyum vahanti iti vAyu-vAh, jIvAh; tAn nayati iti vayAvAha-nah - Those that inhale and exhale the prANa vAyu (vAyu) are called vAyu-vAh; One Who leads them is vAyuvAha-nah. f) In his alternative interpretation, SrI satya sandha tIrtha looks at the nAma as vAyuvah + vRtu - vartana - to exist, to happen, to live on; aha - vyAptau - to pervade. He Who makes vAyu exist, and to pervade is vAyuvah + ahanah - vAyuvaSca asau ahanaSca iti vAyuvAhanah.